Adam Levine’s New Angel. 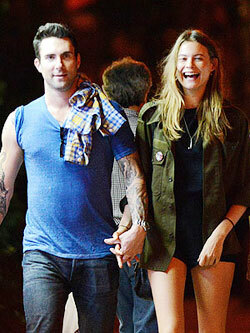 Ahem Girlfriend: Behati Prinsloo! Adriana Lima Is Pregnant With Second Child! Alessandra Ambrosio Is Pregnant. Again! When I Grow Up I Want To Be Victoria’s Secret Photographer. Like Russell James!